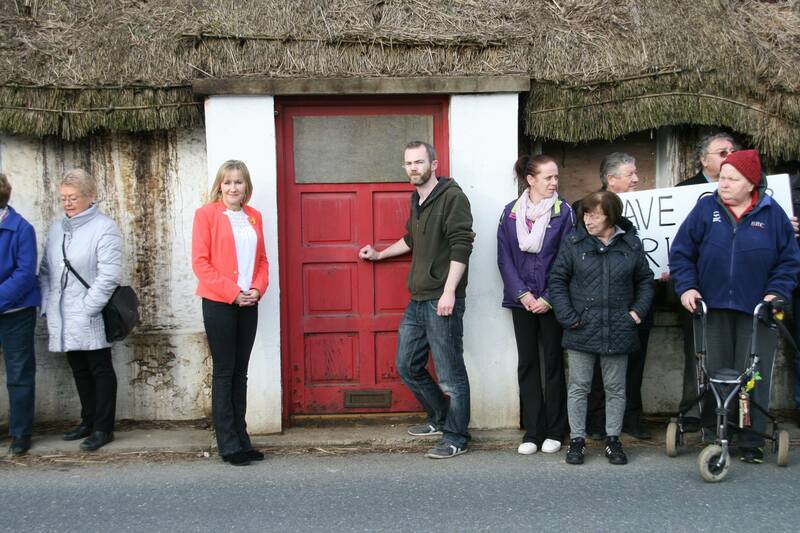 Sinn Féin Councillor Alan Cassidy has been left with no option but to organise a weekly protest at Harty’s thatched cottage which will take place every Friday at 4pm. 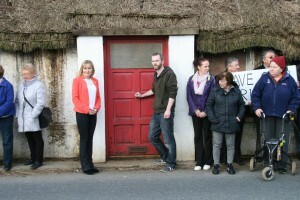 Cllr Cassidy has consistently raised the issue of the two thatched cottages in Drogheda with Louth County Council’s chief executive and has been repeatedly told that the council is ‘active on the issue’. Alan Cassidy said “two months ago when I met the Chief executive to discuss the issue again, she informed me that something may be happening, but she was ‘not at liberty to say’. Early last week I again raised my concerns with the chief executive, as always I finished by asking to be kept up to date on the matter, I informed the chief executive of my intention to stage a protest at my frustration with the lack of enforcement. However, five hours before the protest began, Labour councillor Paul Bell issued a contradictory statement congratulating himself on his own efforts in ‘saving the two’ cottages in Drogheda and one in Castlebellingham. He stated that thanks to his efforts ‘funding had been secured to restore the two cottages in Drogheda’. The Structures at Risk fund for last year was only €5,000 for Louth, a county that boasts over 600 protected structures. Specifically regarding Harty’s cottage Cllr Bell stated that “the council have had discussions with the owner of this property and have designed a plan which will see the property fully restored”. Cllr Cassidy disputes this citing contact with the council as late as 15th March when they confirmed they still hadn’t made contact with the owner. Cllr Cassidy continued “Even more strangely, there is no plan in place. In fact nothing exists in writing at council level in relation to any of these discussions. That is what the chief executive told me personally over the period of an hour long conversation on the 15th of March”. The protests will go ahead as planned despite reports in the media to the contrary, every Friday at 4pm. Sinn Féin in Dundalk will mark the Centenary of the 1916 rising with its Easter Commemoration to Dowdallshill this Sunday 27th March. The parade will assemble at 2.30pm at the Market Square in Dundalk. “In this the Centenary year of the 1916 Easter Rising some of those in attendance will be dressed in period attire and I would encourage anyone else who is coming along to do the same. “The Centenary of the 1916 Easter Rising and the Proclamation of the Irish Republic is a time of huge significance for the people of Ireland. 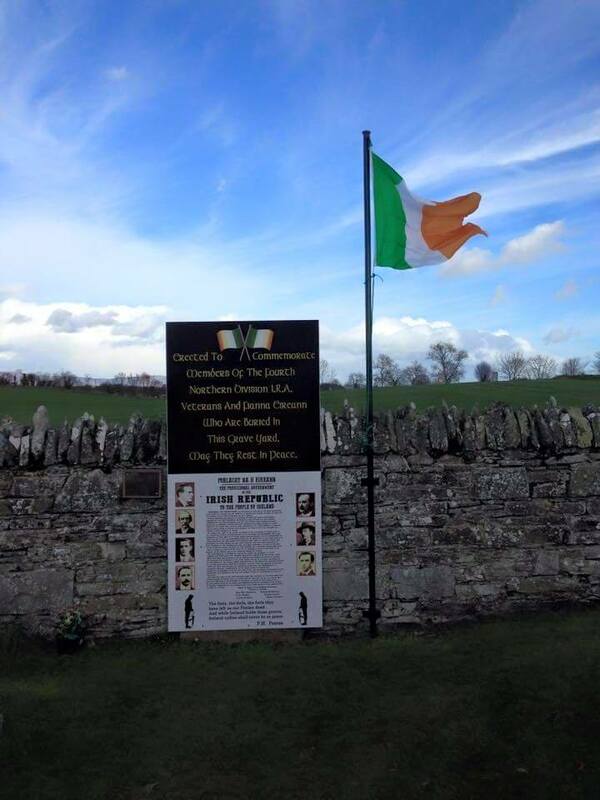 This is a time for the commemoration of those who worked, fought and died for Irish freedom. It is a time for the celebration of the spirit of freedom and the progressive vision that motivated them. It is a time for renewed Commitment to the values of the Proclamation: the sovereignty of the Irish people; the unity and independence of Ireland; equal rights and equal opportunities for all the people who share our island. “We need to apply the principles of the Proclamation to our own time. For us in Sinn Féin that means making equality the basis for our society, our politics and our economy. It means national reconciliation and an end to Partition. We want to build a New Republic. “I would encourage people to honour Ireland’s patriot dead by wearing an Easter lily”. There will then be a further wreath laying in Knockbridge cemetery at 2.00pm on the same day to honour those from the 4th Northern Division of the IRA. Sinn Féin in Drogheda will mark the Centenary of the 1916 rising with its Easter Commemoration to the Republican plot on the Marsh Rd this Sunday 27th March. The parade will assemble at 12 noon outside St. Peter’s Church, West Street. “As in past years we look forward to having The Lourdes Brass Band, The Drogheda Republican Colour Party and The Rising Phoenix Republican Flute band in attendance at the commemoration. The Centenary of the 1916 Easter Rising and the Proclamation of the Irish Republic is a time of huge significance for the people of Ireland. 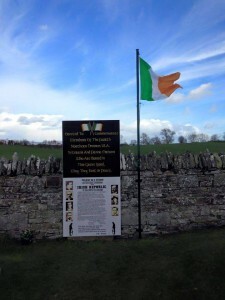 This is a time for the commemoration of those who worked, fought and died for Irish freedom. It is a time for the celebration of the spirit of freedom and the progressive vision that motivated them. It is a time for renewed Commitment to the values of the Proclamation: the sovereignty of the Irish people; the unity and independence of Ireland; equal rights and equal opportunities for all the people who share our island. 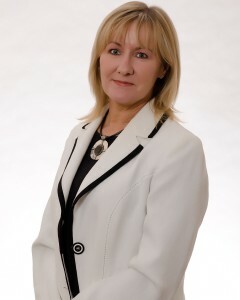 Parade starts at 12 noon outside St Peter’s Church and the main speaker will be Denise Mitchell TD for Dublin Bay North. 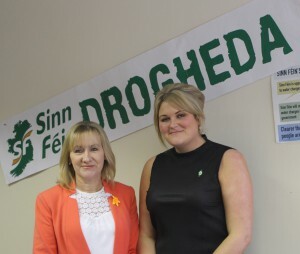 A convention at the Westcourt Hotel last Thursday evening seen Sinn Féin select Drogheda woman Joanna Byrne as the replacement for Imelda Munster on Louth County Council. Imelda Munster TD made history last month when she became the first female TD for Louth leaving her seat on Louth County cCuncil vacant. 30 year old Joanna was selected to replace her. Joanna Bryne is a retail manager but has resigned her position in order to pursue being a full-time councillor as her predecessor did in 2004. Joanna has been a member of the Bobby Sands Cumann in Drogheda for a number of years and was very active throughout the Local Government elections in 2014 and in Imelda Munster’s recent General Election campaign. Joanna’s acceptance speech from Thursday night. It is a huge honour and privilege for me to accept this nomination to take a SF seat on Louth County Council. I would like to thank Hugh McShane and Ronan Caffrey for nominating me and the members of the Bobby Sands SF Cumann here in Drogheda for supporting it. Also to all of you for coming here tonight and putting your faith in me to represent this constituency. We have just come from an exciting few weeks with an extremely successful election campaign, nationwide but particularly here in Louth. We vowed to make history , we took it on and we done it by electing Imelda Munster as the first ever female TD for Louth and East Meath. 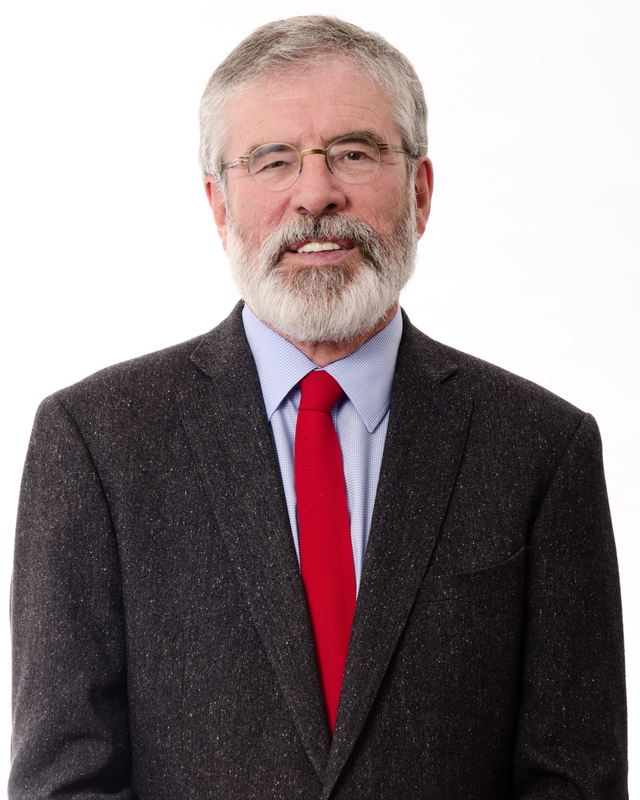 We now also for the first time ever, have two Sinn Féin TDs, the other of course being our party president Gerry Adams. Deputy Munster was an exemplary Councillor and will be a hard act to follow, but I believe with her guidance and advice , and the support of my nine fellow SF councillors in Louth , which I’m told is the tighest-knit group of councillors in the country , I am looking forward to my new role! It is no secret that the country has been failed by the catastrophe that was the FG/LAB government, and it is no secret that Louth and indeed Drogheda were hit hard by the broken promises and crippling austerity cuts implemented by said government, but we in SF need to persevere in reminding people there is a fairer way. And I think the election results last week show that people are putting their faith in us. We are progressing all the time with now 23 TD’s representing us today in Leinster House at the start of the 32nd Dáil term – 6 of them women might I add. 2 TD’s out of those 23 are now representing Louth with Imelda being the additional voice for the county alongside Gerry – which leaves me the additional voice for Drogheda which I am proud to be. We have a number of events coming up over the Easter period and beyond to commemorate this being our centenary year and I would urge everyone to get involved in the new Rising be it locally or nationally. I look forward to seeing you at some of them. “On Thursday on the first day of the 32nd Dáil emergency departments in hospitals across the state had one of their worst days for trolley numbers. There were 511 on trolleys. Our Lady of Lourdes in Drogheda had 38 people on trolleys. On Friday that number was 493 state-wide and 25 in Our Lady of Lourdes. The crisis in the emergency departments remains undiminished. This chaos in our health service is a direct consequence of the bad policies of the Fine Gael and Labour government, and of Fianna Fail before them. Last year 92,998 people were treated on trolleys in hospitals. This is the highest ever number of patients since 2006 and represents an increase of 21% in hospital overcrowding. The irresponsible decision by Fianna Fáil to close essential services and to downgrade Louth County hospital is a significant cause of the crisis in Our Lady of Lourdes.